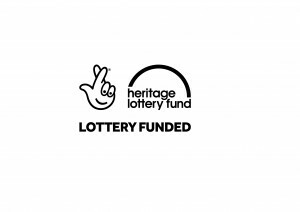 Mercurial Arts has received funding from The Heritage Lottery to deliver Histories at Hobmoor. Histories at Hobmoor will enable adults and children in Yardley, an area of low engagement in the arts in Birmingham, to learn about their heritage and share their stories of moving to, and living in this area. • Contribute to the young peoples heritage sessions. • Act as a bridge between artists, project managers, and the community. • Identify and support the collection, and administrative preparation for submission, of ten formal oral histories for archives. We would like an enthusiastic person with great communication skills, that the people of Yardley can build a trusting relationship with. You will have an interest in the local history of Yardley and ideally be someone who knows the local area and people well, and has build good relationships within the community. Experience of heritage project work is essential, and experience of collecting oral history is desirable, however oral history training will form part of this project. For a large population of the school, children and their families, English isn’t their first language, therefore being able to speak another language (preferably Urdu) would be an advantage. The Heritage Project Worker will require an up to date DBS check, however we can provide this check if you don’t have one already. £4400 inclusive of VAT (if applicable) and expenses offered on a self-employed/freelance basis. If you would like a chat to us before you apply then please feel free to call 07884 068108. To apply please send us your contact details along with an expression of interest (no more that 1 side of A4) explaining why you would be suitable to undertake the Heritage Project Worker for the project with Mercurial Arts. Contact us here for how to submit.